Casey Man Kong Lum (Ph.D., NYU) is currently Professor of Communication at William Paterson University (New Jersey, U.S.A.), where he is the Founding Director of the M. A. in Professional Communication Program (2007-2012). 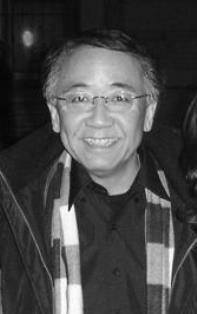 His research intersects among media ecology, food studies, urban foodways as intangible cultural heritage, urban communication, transnational communication in the diaspora, global media, the Chinese American experience, intercultural education and communication, multilingual education, intellectual history of communication scholarship, etc. Casey has had extensive experience in intercultural consultancy and study abroad programs (e.g., global food cultures, media and globalization, intercultural and multilingual education). Lum, C. M. K. (1996). In search of a voice: Karaoke and the construction of identity in Chinese America. Foreword by Neil Postman. London and New York: Routledge. Lum, C. M. K. (2006). (Ed.). Perspectives on culture, technology, and communication: The media ecology tradition. Cresskill, NJ: Hampton Press. [Winner, Lewis Mumford Award for Outstanding Scholarship in the Ecology of Technics, The Media Ecology Association, 2006]. This book has been translated and published in simplified Chinese by Peking University Press in Beijing, China (2007); in Korean by Hannarae Publishing Company in Seoul, South Korea (2008); in traditional Chinese by Chu Liu Publishing Company in Taipei, Taiwan (2010). Lum, C. M. K., & de Ferrière le Vayer, M. (Eds.). (2016). Urban foodways and communication: Ethnographic studies in intangible cultural food heritages around the world. Lanham, MD: Rowman & Littlefield. Lum, C. M. K. (2012). Regionalism and communication: Voices from the Chinese diaspora. In Alberto Gonzalez, Marsha Houston & Victoria Chen (Eds. ), Our Voices: Essays in Culture, Ethnicity, and Communication, 5th ed. (pp. 289-296). New York: Oxford University Press. Lum, C. M. K. (2013). Understanding urban foodways and communicative cities: A taste of Hong Kong’s yumcha culture as urban communication. In Susan Drucker, Victoria Gallenger, & Matthew Matsaganis (Eds. ), The Urban Communication Reader III: Communicative Cities and Urban Communication in the 21st Century (pp. 53-76). New York: Peter Lang. Lum, C. M. K. (2014). Media ecology: Contexts, concepts, and currents. In Robert Fortner & Mark Fackler, The Handbook in Media and Mass Communication Theory (pp. 137-153, Chapter 8 in Vol. I, Section I). Hoboken, NJ: Wiley-Blackwell. Winner: The 2016 Walter Benjamin Award for Outstanding Article in the Field of Media Ecology. Lum, C. M. K., & Haratonik, P. L. (2011). A comparative study of Xintiandi in Shanghai and South Street Seaport in New York City [in Chinese]. In Fuqin Sun & Jianlong Yang (Eds. ), Tales of Two Cities: Urban Culture in Shanghai and New York City (pp. 44-57). Shanghai, China: Truth & Wisdom Press and Shanghai People’s Publishing Company. Casey also serves as a reviewer and on the editorial board of a number of refereed journals. Casey is a long-time resident of New York City.